I’d like to take some time to remember the countless people who survived the events from a distance. The healthcare workers and emergency workers who watched, who wanted to go help, but had to stay behind to help the people who were right in front of them. You also survived. You may have had family or friends or knew someone who new someone. I’m not going to talk about my personal experiences of what I observed and where I was – I was busy taking care of people and caretakers. 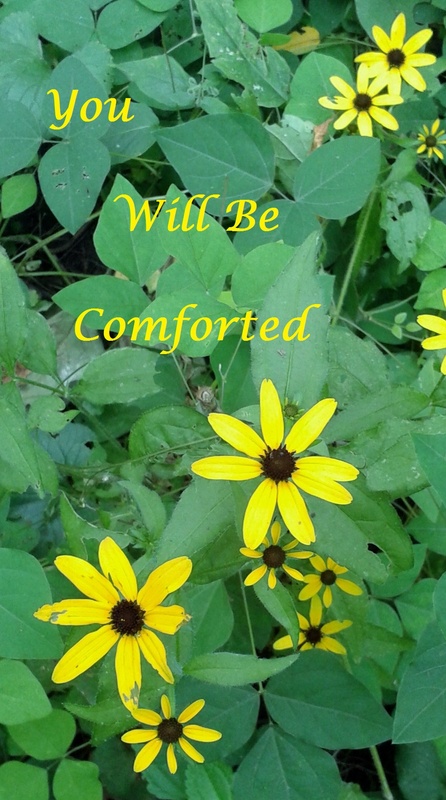 But I imagine it might help some people who are enduring through the trauma of the hurricanes and other natural disasters occurring to remember that they will eventually find comfort if they reach out to and for it. And this is true no matter what kind of disaster it is we are experiencing. Today – I think – wherever you are – is a good day to Thank God that we have come this far since 9/11. Thank God that we have become better at the art of surviving in one piece and in peace. Thank God for that – talk a walk, look up at the clear sky and be grateful! This book stemmed out of my reaction and response to the events of 9/11. But it is not about 9/11 it’s more about the comfort I find through my faith. I believe that faith is a huge part of where people go to find comfort, faith is deep within and without. With faith, not only can we help each other (people we know) but we can help strangers and neighbors. With faith, we can work together through times of crises – and if we can work together in times of crises we ought to be able to live together in peace in all the regular days of our lives. I think it’s important to take time to nurture our faith in the more regular days so it kicks into gear when the crises appear. Oh – and decided to look up the verses in the Gospels of Matthew, Mark, Luke and John. When the man was asked where the ‘this man’ is, the man who washed and could see said he didn’t know. Maybe, sometimes the story of faith isn’t as much about Where is Jesus? or Where is your God? as it is about what God’s faith, the love God and Jesus have for us can do for us. Maybe stories of faith reveal to us that our lives are about us doing the work, the good and sometimes hard work, of loving, caring and healing one another. My hope is that when I write – it brings comfort and sight to people. I’m not perfect, I am so imperfect it’s almost sometimes uncomfortable for me to write and share. But it seems that it is some of the work that I have been called to do. 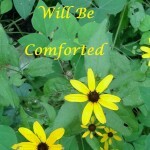 I hope today you find some comfort, some to give comfort and time to be comforted.